The E30 automatic scrubber is designed to be efficient, environmental conscious, economic, ergonomic, and engineered for excellence. 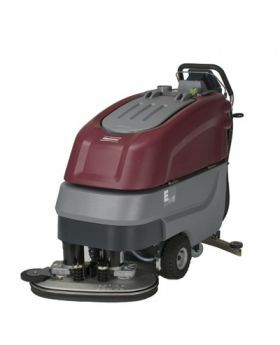 Minuteman's E30 floor scrubber features advanced technology and new green clean features. Its 30" cleaning path covers 30,000 sq. feet per hour. Adjustable handle and ergonomic hand bails offer great control of the machine.